Acting tough with advertising companies, who have been violating the agreement conditions, municipal corporation, Ludhiana, today slapped heavy penalties on such violators. With three days to go for Karva Chauth, a team of health officials conducted a “brisk check” at various outlets selling sweets and dry fruits in the city. The team led by the District Health Officer (DHO), Dr Jagpal Singh, raided Kays Lovely Sweets at Dandi Swami road and destroyed nearly 1.5 quintal of rotten khoya. Dry fruits not safe either! If you believed dry fruits were a safer option on Diwali, think again for traders are not only using spurious khoya and selling adulterated sweets, but also using harmful compounds to increase the weight of dry fruits. In its effort to create rags to riches story, the Division No. 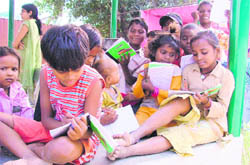 5 police station and the Durga Mandir Trust have jointly undertaken the task of educating 50 children of a slum located near the Jagraon Bridge. Directly observed treatment (DOT) for tuberculosis will also be used to treat drug addicts in Punjab as doctors, NGOs and psychiatrists from Ludhiana, Amritsar, Jalandhar, Batala and Tarn Taran have been trained by a team of experts from AIIMS, New Delhi, in this regard. City women can look forward to be spoilt for choice on application of ‘mehndi’ for the upcoming ‘Karva Chauth’ festival. The beauty business of applying henna has never had it better than on this day Henna artists designing fascinating and intricate patterns on the palms and feet of girls has become a common sight in markets these days. ‘Experts’ in the art have already arrived in the city from various parts of the country. At the same time, beauty salons are also ready with various designs and patterns to woo the elite crowd. Lugging four shopping bags stuffed with festive indulgence, Tarun is glowing as he walks out of the Sarabha Nagar market. 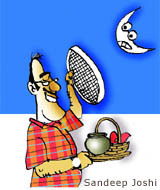 The 26-year-old newly wed has just finished shopping for Karva Chauth, which falls on Tuesday, when he will fast for his wife’s well being. He is not the only man to do this. Scores of men will be keeping the fast. From applying home-made face packs to special beauty packages at salons and buying new clothes and footwear, they are going about it just like women. While most are going to make it a traditional no-food-no-water affair, some have decided to modify the custom to help them sail through the day. The ambitious e-challaning project seems to be distant dream as the district transport department is ill equipped to track vehicles. Managing Director of IIR Exhibition Ltd, London, Nicky Manson inaugurated the three-day buyer-seller meet “Print Art 2010” here today. 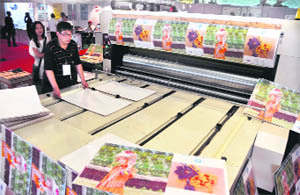 The exhibition organised by the Offset Printers Association aims at highlighting technical innovations and advancements in the field. The XVIIIth annual function of the Dr LH Lobo Memorial Trust was held today at Christian Medical College and Hospital (CMCH). Solution to alleged row between rice sheller owners and commission agents is in sight with the Chief Minister planning to meet them. The row between them had led to slowing down of the paddy procurement from grain markets of the region. 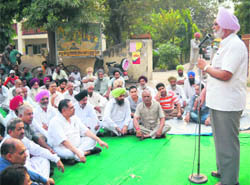 Irked over the non-lifting of paddy by purchasing agencies, farmers blocked the traffic by parking their paddy-laden vehicles on the Samrala Khanna road. The slow procurement process in the name of the moisture-laden paddy had annoyed them. 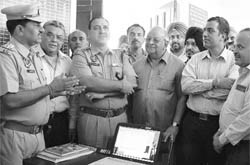 Beaming smiles, folded hands and a modest body language was the order of the day at police stations today, as the otherwise boorish cops got together to welcome schoolchildren. Five police stations are currently in a keen race to find a place in the ongoing Police Station Visitor Weeks (PSVW) Competition. 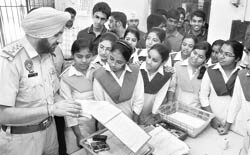 The riot victims who have not been able to get MIG flats in the first draw of lots by the Greater Ludhiana Area Development Authority (GLADA) will get another chance to try their luck. The second draw of lots for MIG/LIG flats for riot victims will be held in the next few days. 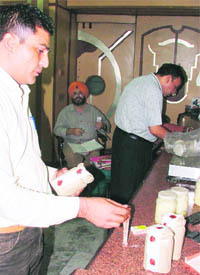 The department of veterinary and animal husbandry extension, College of Veterinary Science, Guru Angad Dev Veterinary and Animal Sciences University, organised a refresher course in association with the dairy development department, Punjab, on feed manufacture, balanced and quality feed for milch animals. A brokering firm organised a seminar on Investment Opportunities-2010, here today. The seminar was part of firm’s efforts to create awareness and understanding regarding the financial market. One youth was killed and another was injured in a road accident near Ladhran village on the Ludhiana-Chandigarh road last night. Mandi Gobindgarh, October 23 RIMT Institute of Engineering & Technology commemorated the great martyr Shaheed Bhagat Singh. A declamation contest on Bhagat Singh was organised by the NSS unit in collaboration with Punjab Technical University at the college campus here today. The PAU youth festival marked its third day with collage making and cartooning competition. “Fashion Today” was the topic for the collage making competition. “The corruption in the Commonwealth Games” was the topic was given for cartooning. Students participated with full vigour in the competition. 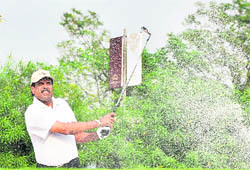 At last the budding and aspiring golfers of the city have something to cheer about as the legendry cricketer and amateur golfer, Kapil Dev, today threw open a golf academy near Mullanpur on the Ferozepore road here today. Ten top women hockey teams of the country will clash in the 14th edition of the Mohinder Partap Singh Grewal Women Hockey Tournament to be played at PAU from October 25. Cagers Amayjot Singh and Nagma Mirza will lead the boys and girls basketball teams, respectively, in the 61st Junior National Championship to be held at Navi Mumbai from October 24.